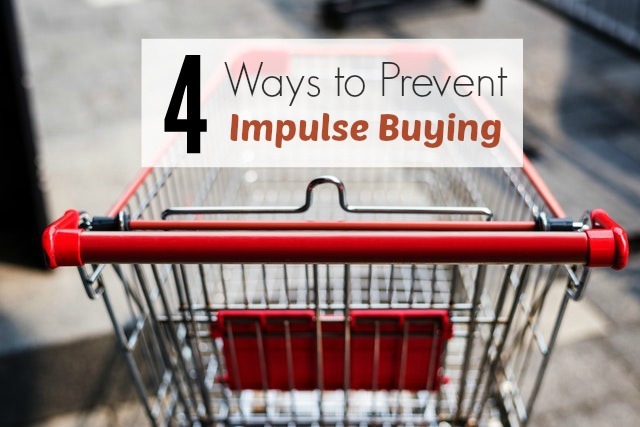 Are you an impulse buyer? Do things that are not on your list, always end up in your shopping cart? Are you a seeker of all things new, trendy, beautiful, and useful? But…then do you ever wonder if buying those impulse items was a good idea? Do you start to question if you really NEEDED that particular item? Impulse buying can get the best of ANYONE. You see something at the end of an aisle in the store. Or an ad on tv. You see your friends carrying or wearing something you wish you had, so you go out and buy it. That’s impulse buying: buying something you did not plan on buying at that moment. So how do you stop the lure to buy? It starts with self-control. Don’t you sometimes despise those words: SELF-CONTROL. As much as want to be known as someone who has self-control, we dislike the process of getting there. So what does it take to be self-controlled and not fall into the trap of impulse buying? 1. Decide what your needs are. I know this sounds so simple and makes you want to say “duh”, but in reality, this is one of the biggest reasons people impulse buy. They are searching for something they want to fulfill those wants and desires, when they really don’t need it in the first place. What do you actually NEED to live? What do you NEED for that particular week? 2. Be leery of how you interpret ads. Don’t flood your mind with what the world tells you that you need. Furniture stores tell you that it’s the best sale of the seasons. That you’re not going to find a better deal and the best deal is NOW. Commercials tell you how something is going to solve all of your weight issues, wrinkles, dark spots, flabby skin, you name it. Don’t let the world tell you want you need. Figure out what YOU need. 3. Accountability. If you are wanting to stop those unneeded purchases, when you get home if you have someone else living with you, ask that person to see your receipt, if that helps. Of if you are shopping with friends, tell them to not let you buy something you don’t “need” or is not on the list! I know, what’s a shopping trip without splurging a little? Well, it gives you that instant gratification, but what good does it do after that? That happiness is fleeting. 4. Know your triggers. If going to the mall causes you to impulse buy, limit your trips there. If shopping on Amazon causes you to impulse buy with just a few clicks of the mouse, don’t look. If going to garage sales woos you into buying things you don’t need, don’t stop. This looks different for each person, but we ALL have triggers. There is something that gets you excited to just buy and buy endlessly. Start somewhere. Start small. Don’t let the world tell you what you need.